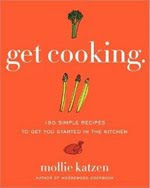 lisa is cooking: Mollie Katzen, What Are You Reading? As much as I love cookbooks full of recipes, I'm becoming more interested in books that also explore/explain the author-chef's connection to the foods they choose to cook and eat. 'Tender' sounds wonderful - please let us know what you think of it! I really need to read more food related books. These are some titles I can start with. I'll write them down and look for them in my next book store trip. I had 2 of her cookbooks (vegetable heaven and Moosewood) and never really used any of her recipes. So, I donated the book to my local library. Hello Lisa; thanks for sharing ideas about food related books; by the way, have you heard of "Sacre Cordon Bleu - What the French know about cooking" ? by Michael Booth - a travel writer who wrote a book about his food adventures in Le Cordon Bleu, the most famous cooking school in France ? Have a good day! Very cool! 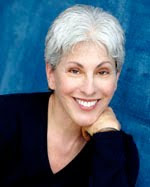 Molly Katzen! Yay! I have always been so intrigued by the Moosewood Cookbooks but haven't bought them... yet! Now I must! and this Nigel Slater book is also my kind of book. Oooh so many to put on that to-buy list! I love mollie katzen and nigel slater so nice to see that there is a connection between some of my heroes!!! Magdalena: I hadn't heard of that book but it sounds interesting. Thanks for the suggestion! 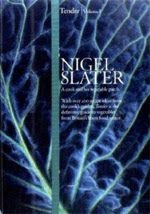 I didn't even know Nigel Slater had a new book out. So thanks for that. I love his other books. He just has such a way with describing food. More book ideas from you to add to the growing list. They all sound very intriguing. It's on my list now. Thanks!